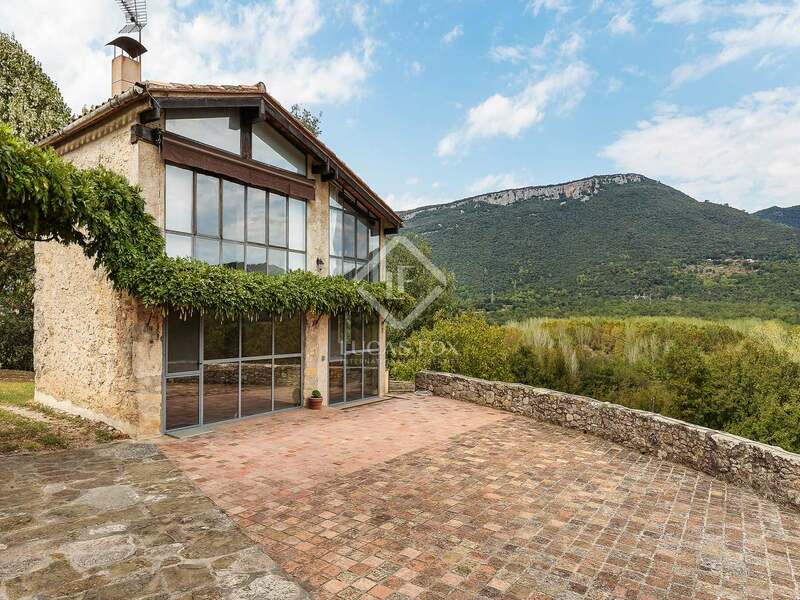 This lovely family home is set in a tranquil location with sweeping views across the valley and the impressive cliffs beyond. 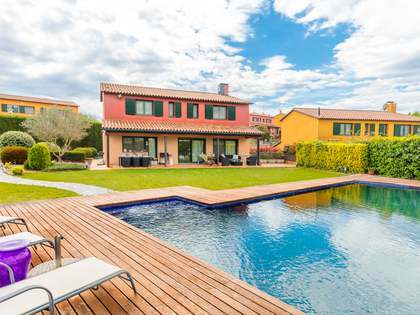 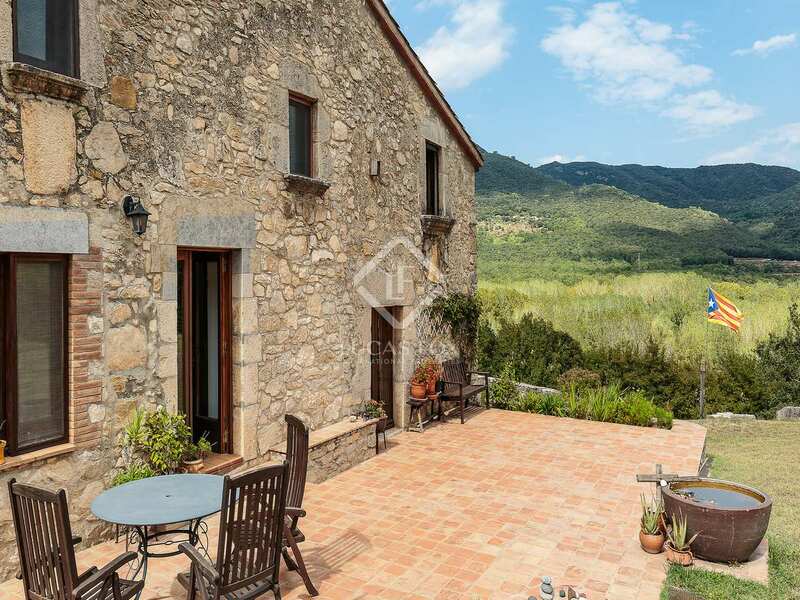 Seventeen kilometres from the centre of Girona and 1.5km from the nearest village, the area is private and peaceful yet well connected. 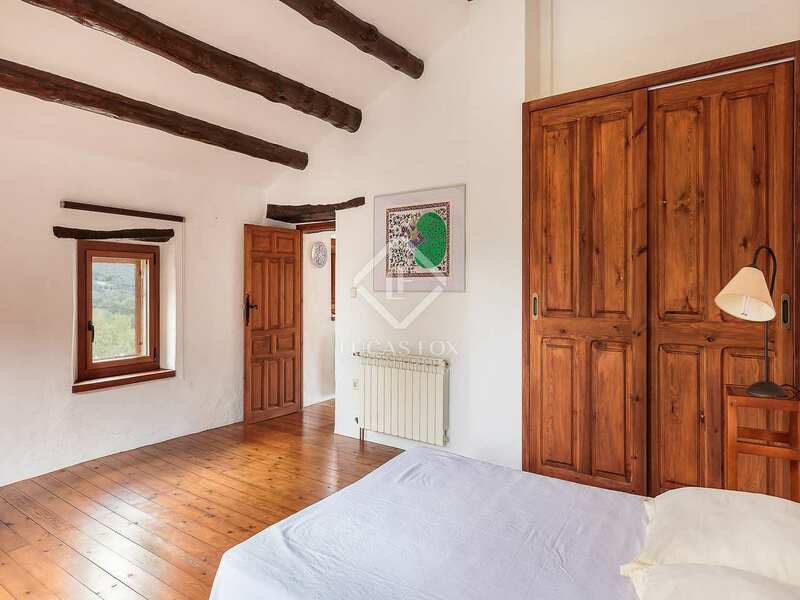 The historic property, dating back to the early 18th century, was originally a small farm and has been fully renovated in a classic style; charming features such as wooden beams and ceramic floors have been maintained whilst new windows have been installed to maximise natural light. 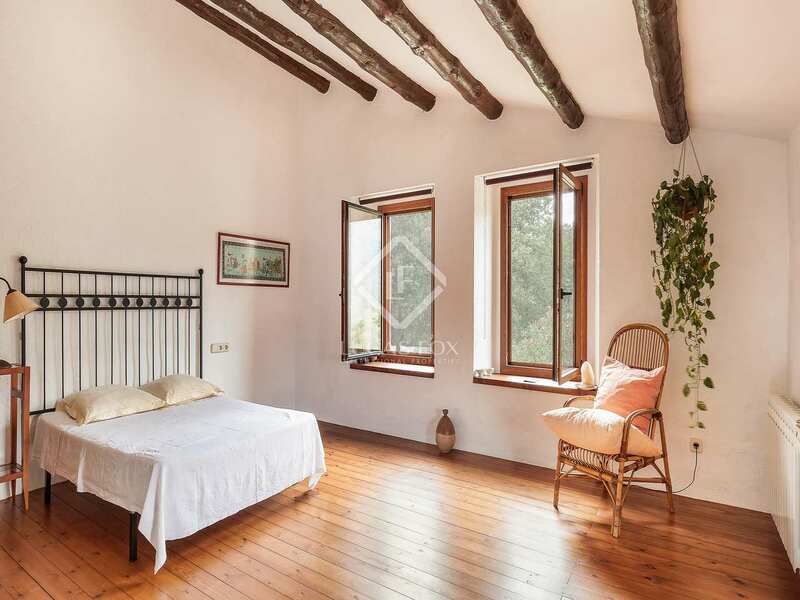 Composed of a main house plus a renovated barn that serves as a separate guest house, the property has a total of 7 bedrooms. 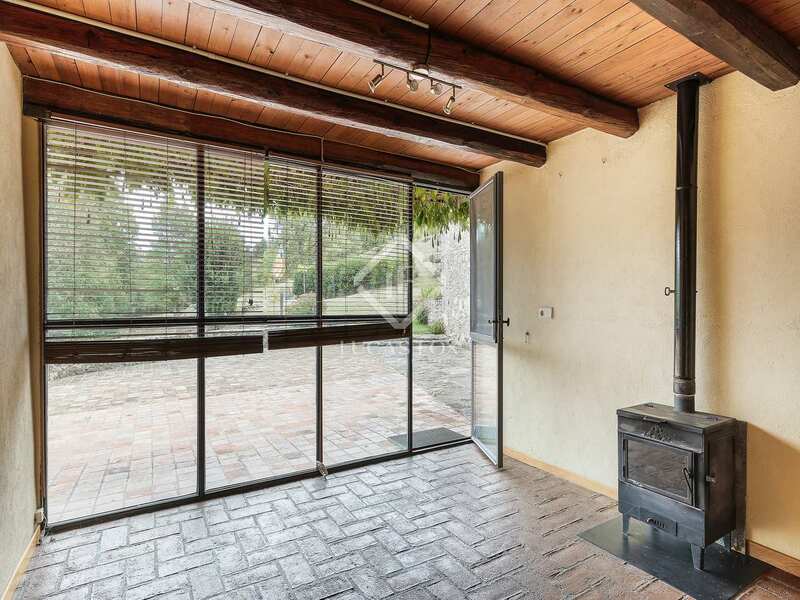 On the ground floor of the main house there is an entrance hall leading to an open-plan kitchen-diner and a living area with a large fireplace. 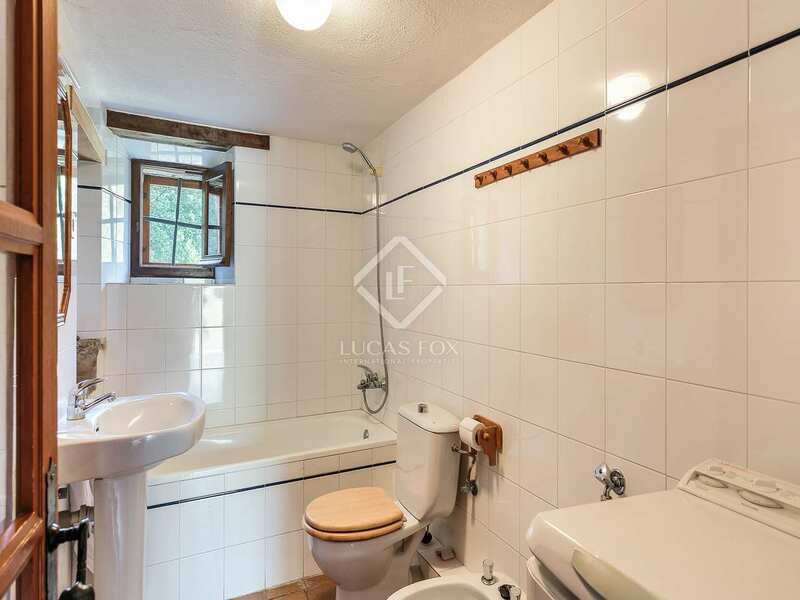 There is also a bathroom, pantry and a large utility room on this floor which could be converted into a studio or office. 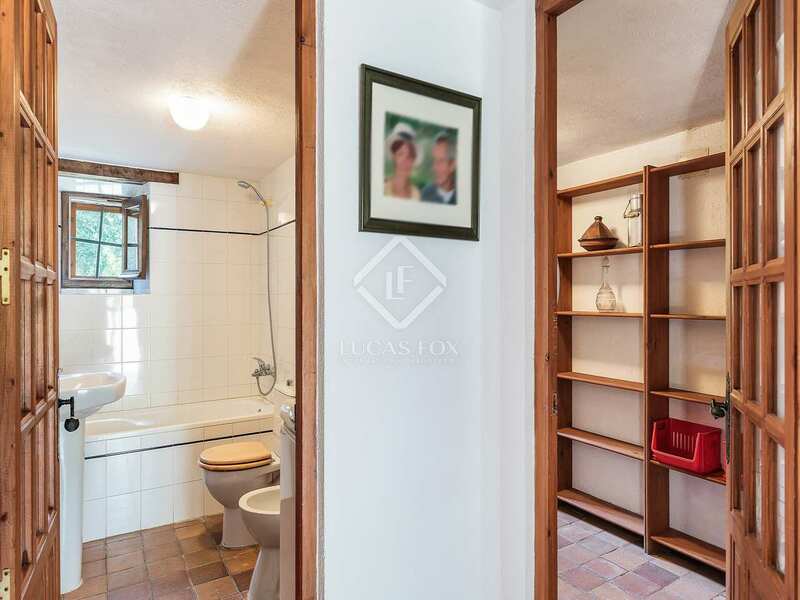 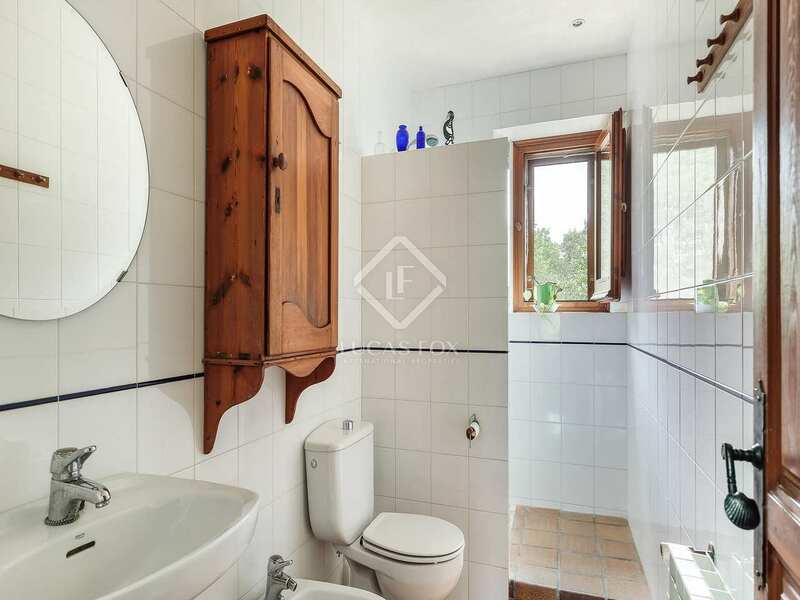 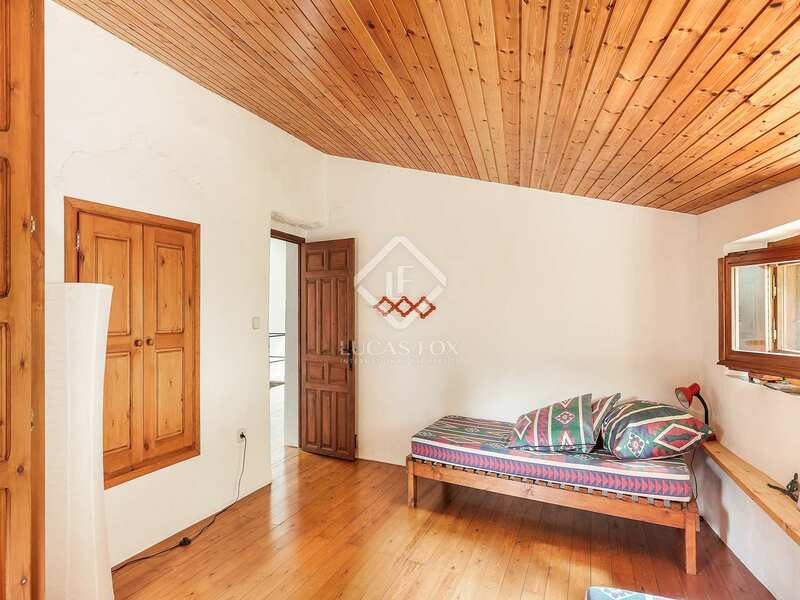 On the first floor there are 4 double bedrooms, 1 bathroom and a further small bedroom which, if desired, could be converted into a third bathroom. 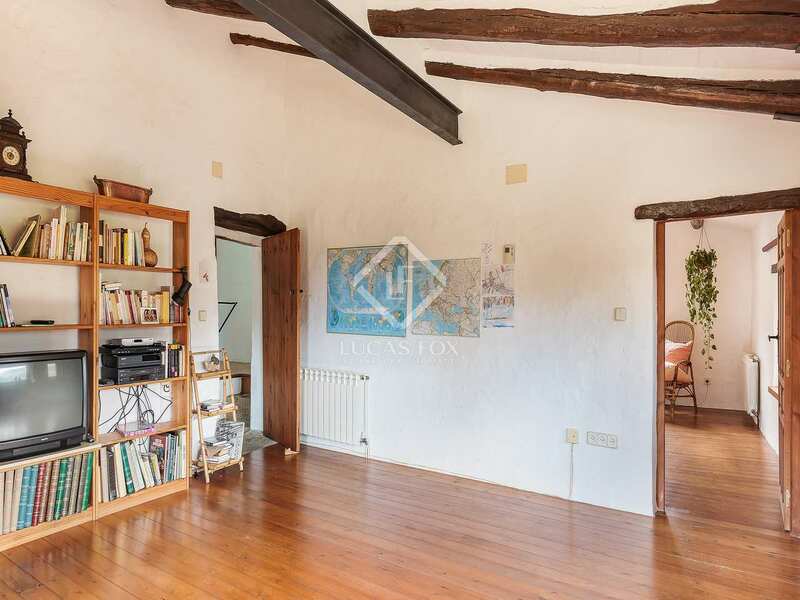 The barn conversion has an open plan living-dining room with a fireplace and a small kitchen on the ground floor and 2 bedrooms, 1 of which is a double room, plus a bathroom on the first floor. 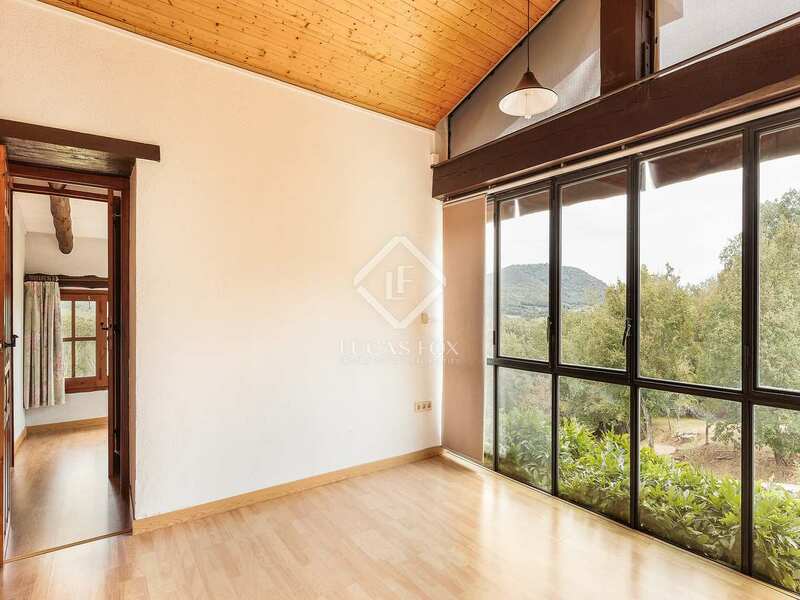 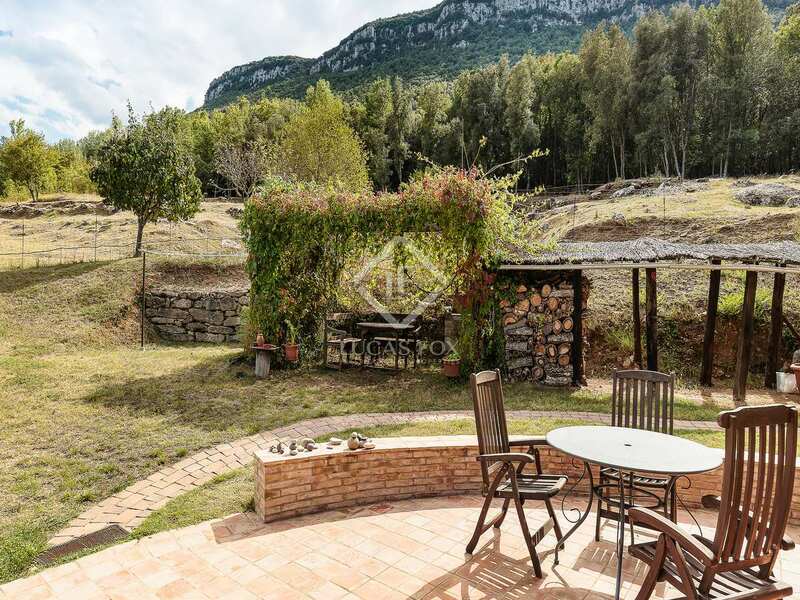 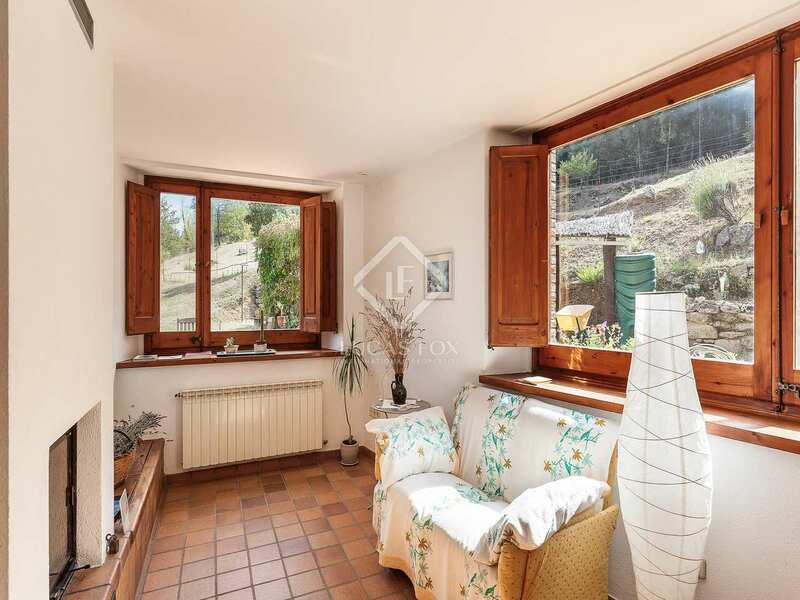 The property is set on a plot of almost 6 hectares, 2.5 of which are fenced gardens with a small swimming pool and a lovely terrace for outdoor dining, the rest of the land is forests. 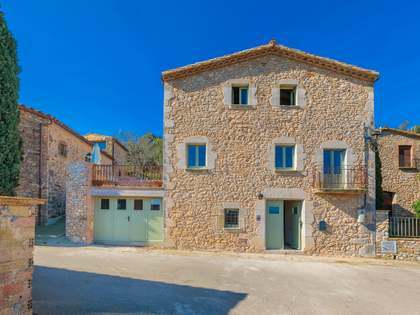 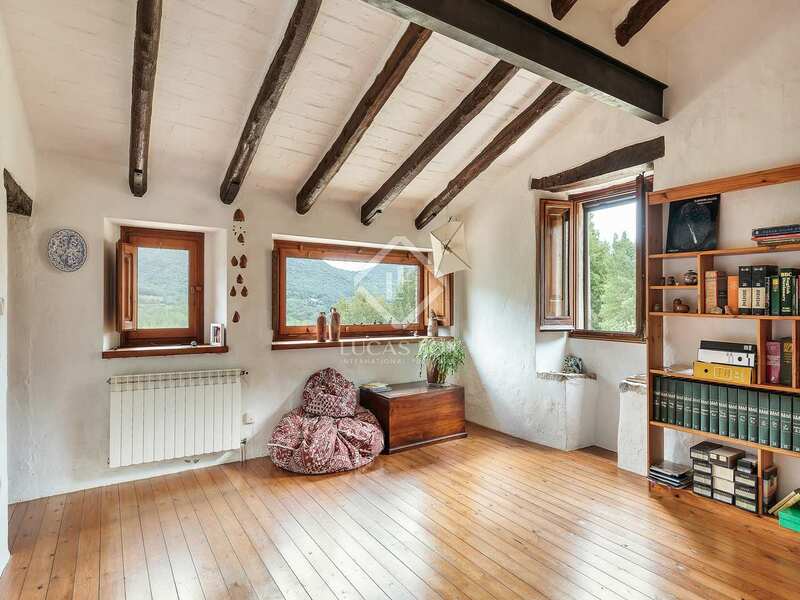 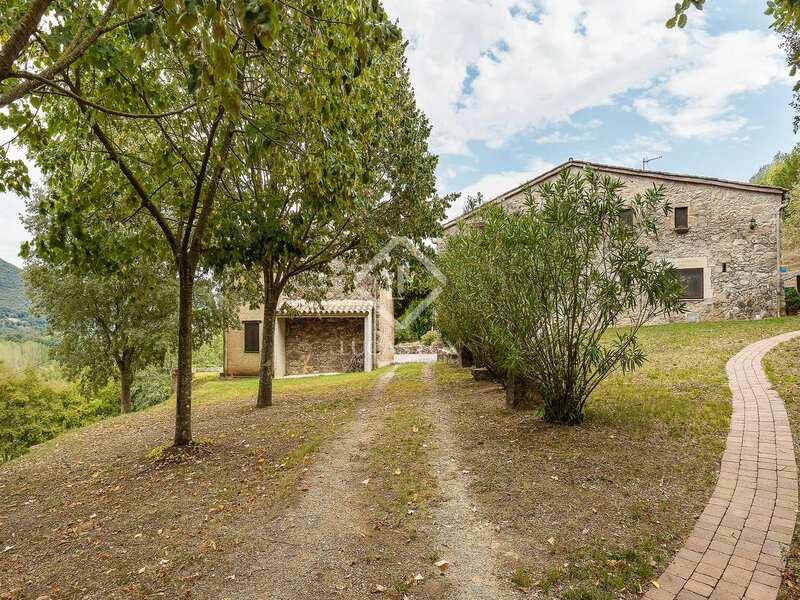 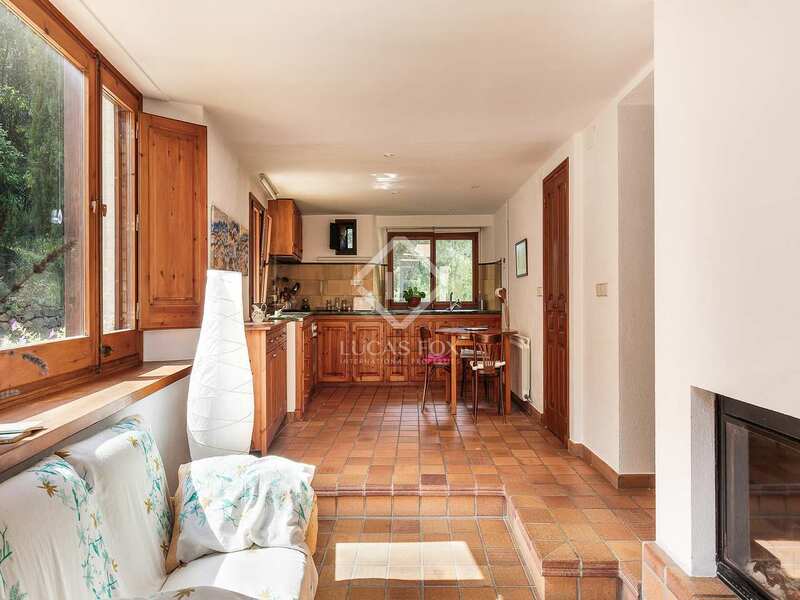 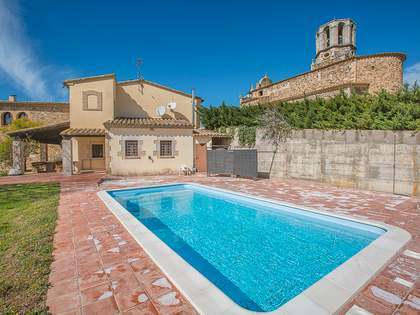 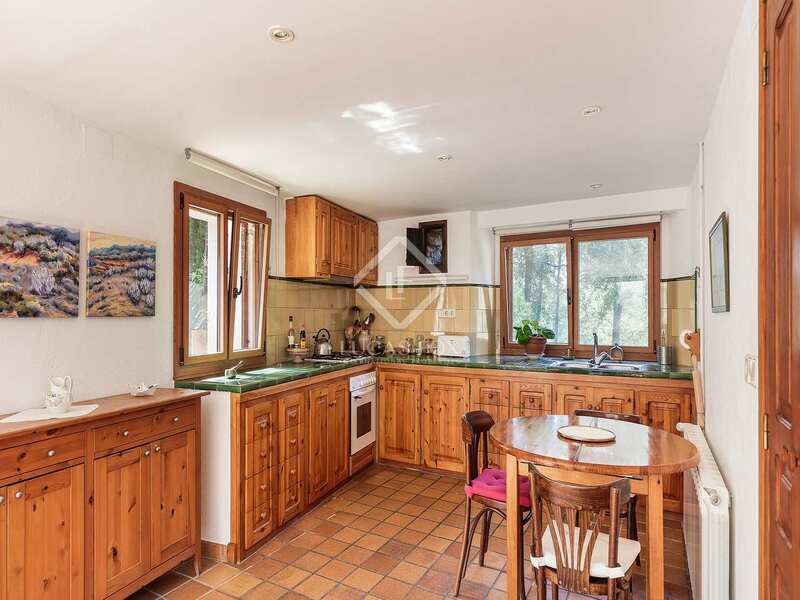 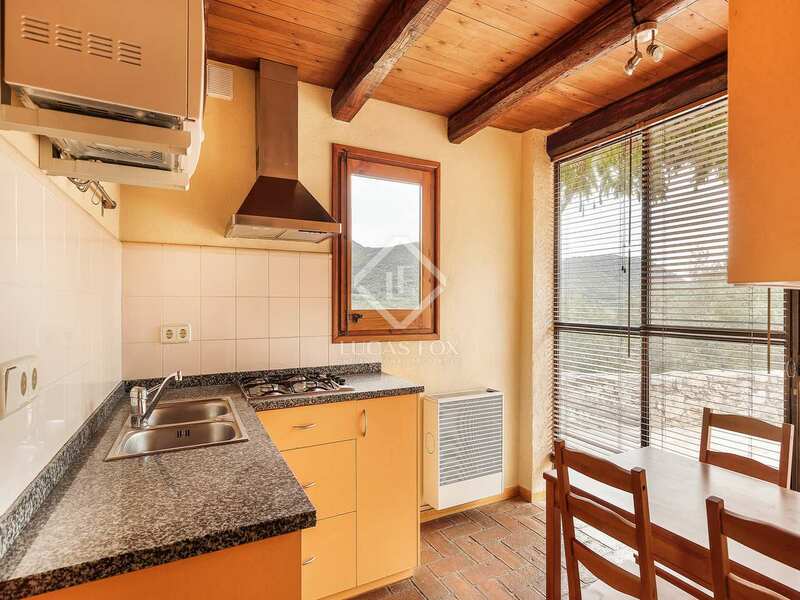 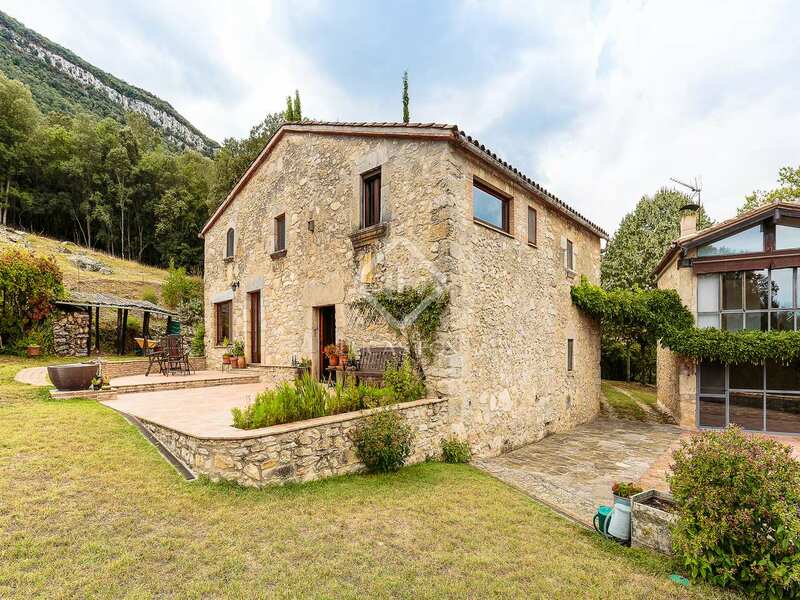 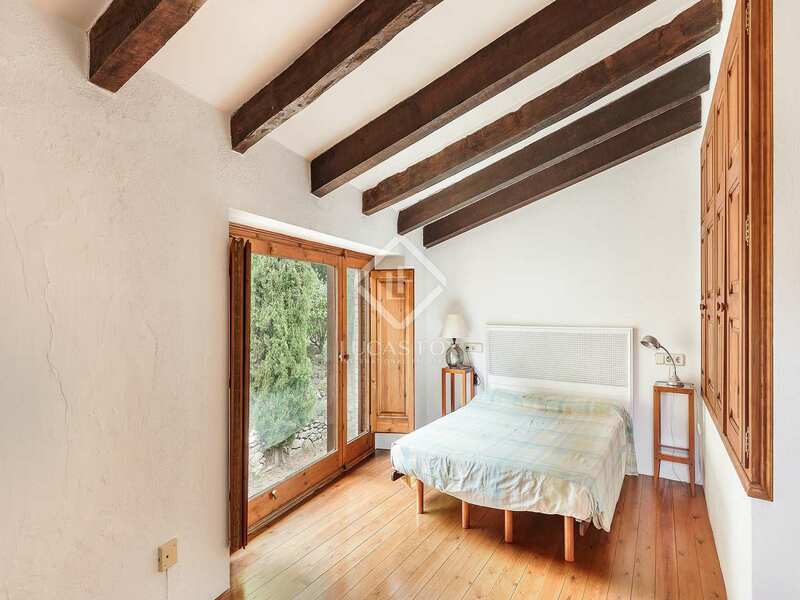 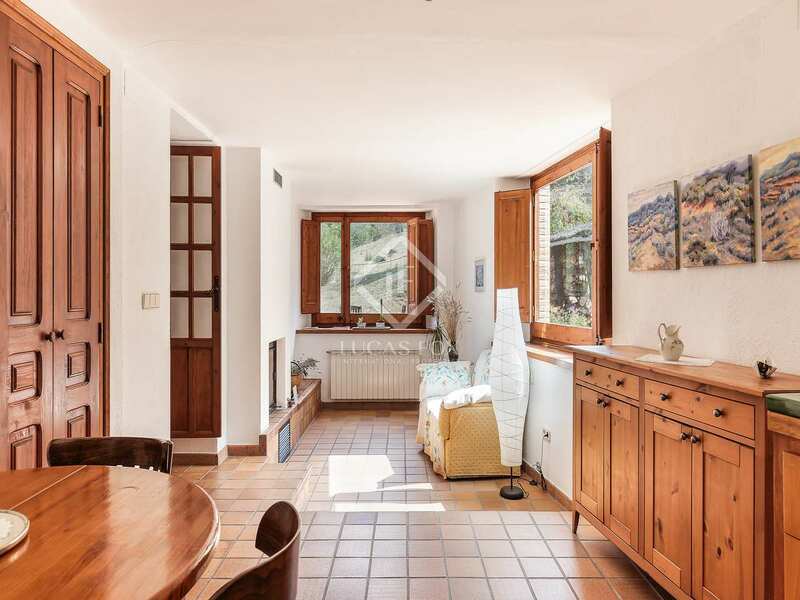 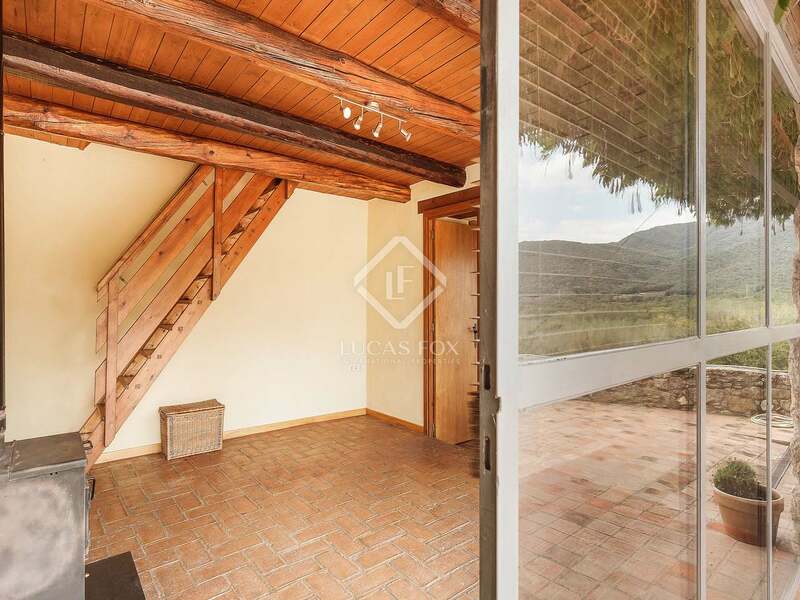 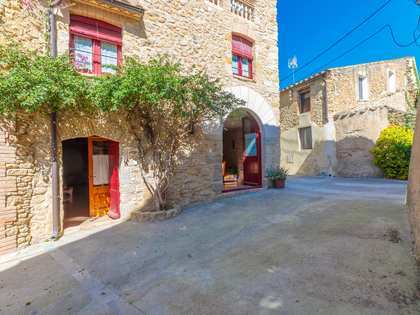 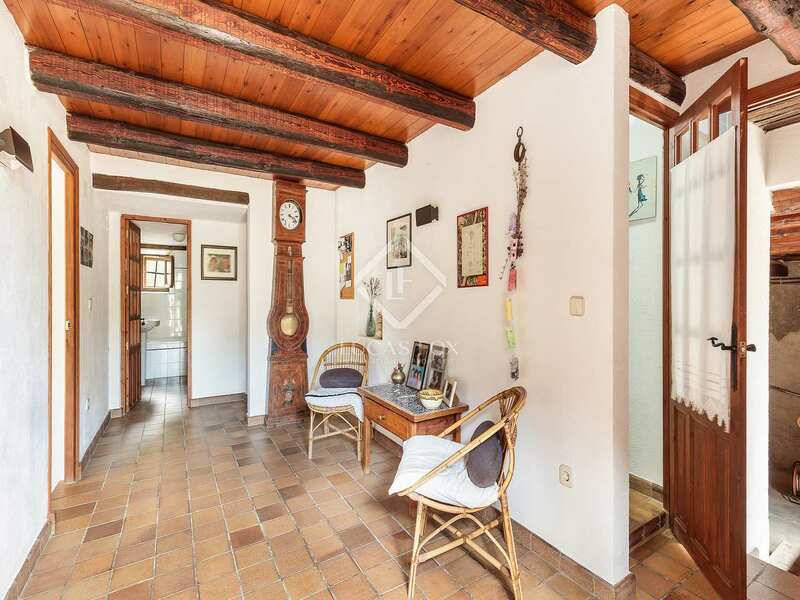 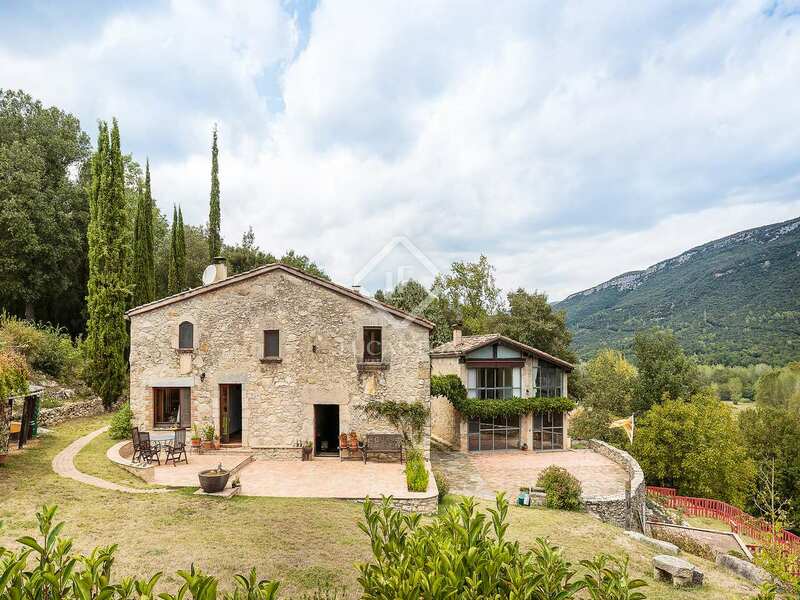 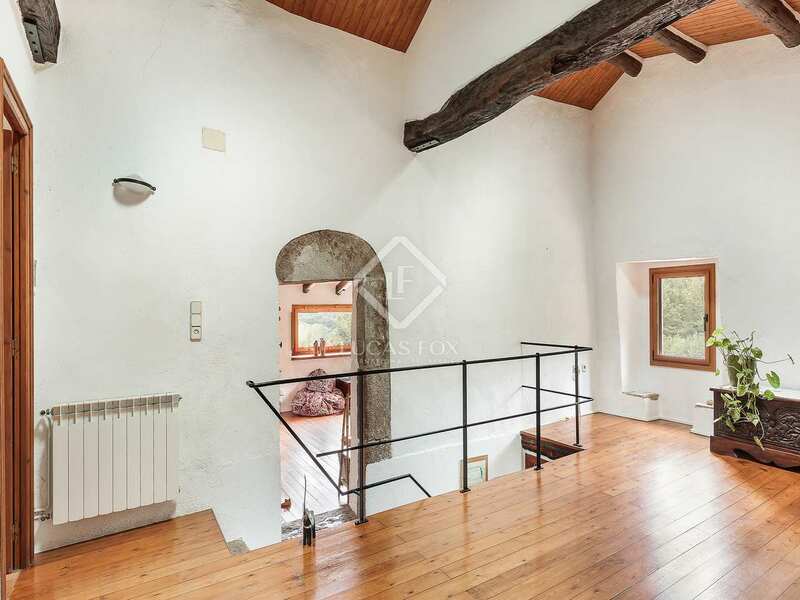 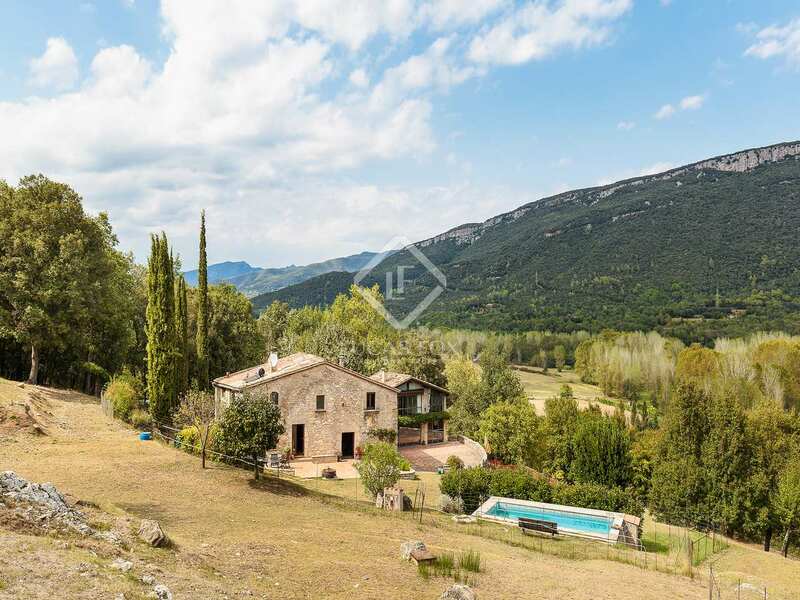 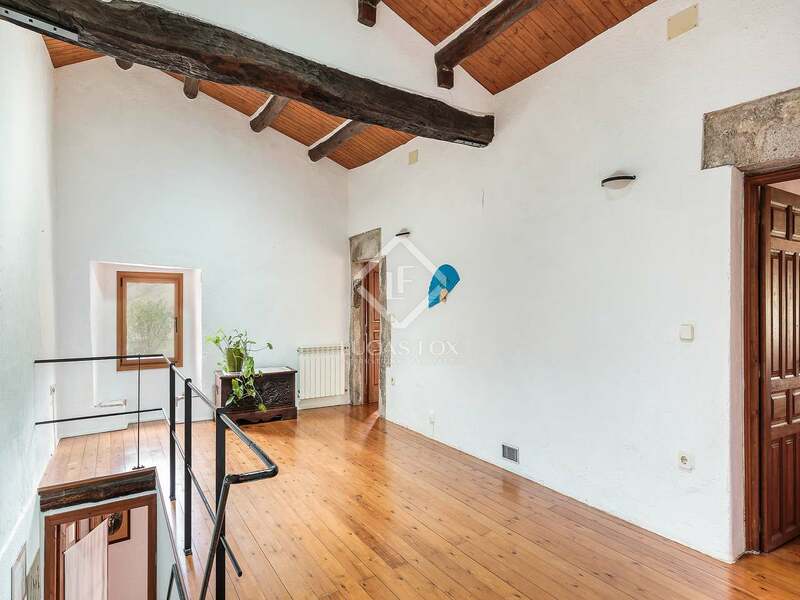 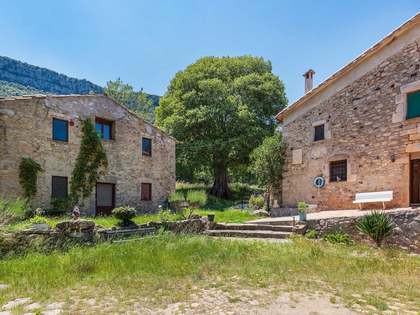 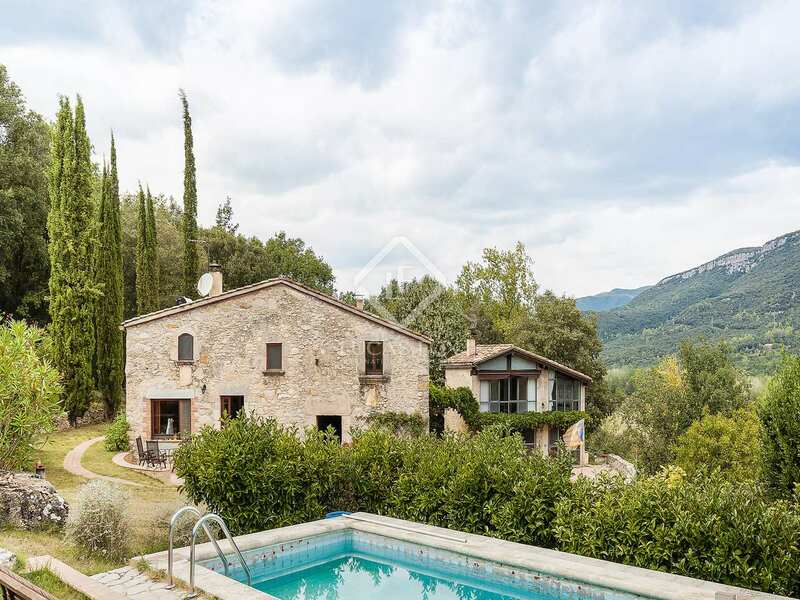 A wonderful country property close to the centre of Girona, ideal for those seeking an idyllic location with plenty of privacy yet well connected to the nearest towns and villages. Property in a peaceful location 17km from the centre of Girona and 1.5km from the nearest village.